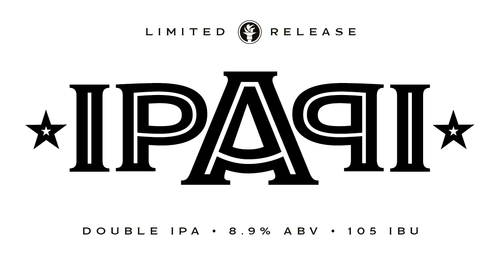 This Double IPA features bold hop profile balanced out with smooth caramel malt sweetness. Finished with Nugget hops and Dry-hopped with Simcoe and Columbus, the aroma is earthy and resinous with subtle citrus notes. Available in 1/2 pints and carryout growlers.